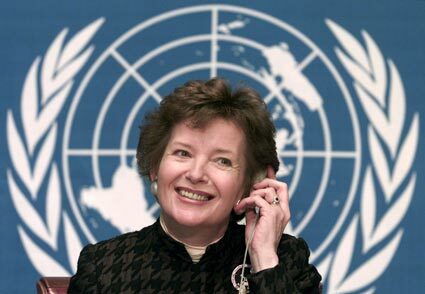 Mary Robinson, former President of Ireland and former Patron of the Irish Consortium on Gender Based Violence (of which ChildFund is a member), has just been appointed to a hugely important new position by the UN Secretary General Ban Ki-moon. Mrs Robinson and Mr Macharia Kamau of Kenya have been decreed Special Envoys on El Niño and Climate. With parts of Africa suffering the worst droughts in 50 years, caused in large part by the impact of the El Nino weather system, its a timely appointment. Although rainfall in April has alleviated the severity of the drought somewhat, the situation in Ethiopia in particular remains dire. Some 10.2 million people are in need of assistance, with some 3.6 million in need of emergency health and disease control support. In 2016 there are estimated to be as many as 435,000 SAM (Severe Acute Malnutrition) cases and 1.7 million MAM (Moderate Acute Malnutrition) cases. Approximately 300,000 people in ChildFund operational areas are in need of humanitarian assistance. ChildFund continues to work on the ground with partner organisations to provide supplementary food support but the scale of the problem is huge. Mrs Robinson is a highly experienced and deeply respected figure in international affairs. Her appetite for tackling extreme poverty, injustice and exclusion in the developing world has been demonstrated in her international work, particularly in her capacity as United Nations High Commissioner for Human Rights (1997-2002). In later years, Mrs Robinson has become influential member of the ‘Elders’ – a highly prestigious council of elder statesman and women who offer sage analysis and guidance on important global affairs. Speaking of the urgency to act on Climate Change, Mr Ki-moon said; “The United Nations Special Envoys will provide the leadership required to tackle these challenges, raising the profile and sounding the alarm”. We wish Mrs Robinson well in her challenging new role and have no doubt she will bring her formidable skills to bear, as she always has, in working for the betterment of the most vulnerable in our global society.